Although school buses are designed to be safe vehicles, children at school bus stops – particularly those on busier streets, absent sidewalks and in the early morning hours – may be vulnerable to accidents involving other vehicles. 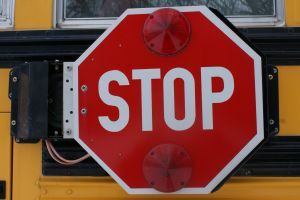 When these incidents occur, it’s important for parents to discuss with an experienced injury lawyer the possibility the school district may be liable in failing to establish safe routes or safe stops. School officials have to take into account a myriad of different factors in order to maximize student safety. This does not mean that every injury that occurs at or near a school bus stop or on a student’s route will be grounds for a lawsuit against the school district. But in some cases, the school district may be liable. That is what’s being alleged in the south Florida case of Davis v. Baez, recently before the Florida’s Third District Court of Appeals. According to court records, plaintiff was an 18-year-old student in high school in Miami-Dade County when she was struck by a car while crossing the street to reach her school bus stop on the other side of the road. The bus stop accident happened shortly before 6 a.m., when it was still dark outside. The bus had not yet arrived at the stop on the opposite side of the road. Thereafter, she filed an injury lawsuit against the school board and the school bus driver, personally. The driver was employed by the school board. In the original complaint, plaintiff alleged the driver and the school board were negligent for their failure to instruct both plaintiff and her brother (a 16-year-old boy who had already crossed the street and was not hurt in the crash) to wait on the west side of the street, rather than the east, while waiting for the bus to arrive at the designated stop, halt the traffic, activate the flashing red lights, extend its “STOP” arm and allow plaintiff and her brother to cross safely. At issue in this particular appeal is only the second count of the claim, which pertains to the driver personally. Plaintiff alleges the driver, of his own initiative, advised the children he would be picking them up on the east side of the street, rather than the west. That meant the kids had no choice but to cross before the bus arrived. He (allegedly) did not tell plaintiff and her brother to wait on the other side of the street so they could cross safely once the bus arrived. During deposition, the driver acknowledged that he told the siblings they were required to wait for him on the east side of the street before the bus got there and that if they weren’t yet there, he wouldn’t wait for them to cross or pick them up. The school board moved to dismiss the complaints against it and the driver, asserting both were protected from tort liability by sovereign immunity because the district didn’t owe a duty of care to plaintiff at the time of the crash, nor the duty to warn her about the danger of the road. Trial court granted the motion to dismiss, but only against the school board and only on the issue of duty. All claims against the school board (direct and vicarious liability) were dismissed with prejudice, appealed and affirmed. Afterward, the driver answered the complaint with several affirmative defenses, including sovereign immunity – basically that he, as an employee of the school board, was owed sovereign immunity. He wasn’t in charge of bus stops at the planning level, he didn’t undertake the duty to plaintiff while she wasn’t in his physical custody or control and he was acting in the course/ scope of employment, and did not act in bad faith or with willful or wanton disregard for her safety. Trial court granted his motion for summary judgment, but the 3rd DCA reversed. 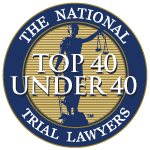 The court held that summary judgment was improper in this situation because the claim is based on claims that defendant acted outside the scope of his employment as well as in bad faith, exercising willful or wanton disregard for plaintiff’s safety. If proven, that would mean an exception to the sovereign immunity protection. Because that’s a matter of fact that has to be resolved by the jury, the court reversed and remanded back to the lower court for trial.